CHARLOTTE (September 22, 2016) – CARSTAR Auto Body Repair Experts hopes to reduce the dangers of distracted driving with national support of the It Can Wait® campaign for the third consecutive year. CARSTAR is teaming up with the National Auto Body Council and others in the collision industry to educate drivers about being smarter and safer in the car. A recent study of drivers from the AAA Foundation for Traffic Safety found that distraction was a factor in nearly 6 out of 10 moderate-to-severe crashes, which is four times as many as official estimates based on police reports. 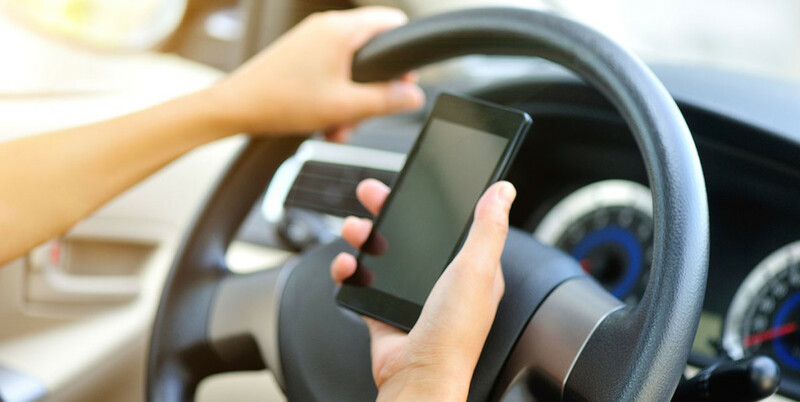 Researchers found that drivers manipulating their cell phone (includes calling, texting or other uses), had their eyes off the road for an average of 4.1 out of the final six seconds leading up to a crash. The researchers also measured reaction times in rear-end crashes and found that drivers using a cell phone failed to react more than half of the time before the impact, meaning they crashed without braking or steering. Individuals can sign up at www.ItCanWait.com to take the pledge and share their photo and commitment on social media. Aspiring to create a social stigma around this dangerous habit of texting while driving, the campaign focuses on getting individuals involved in taking the pledge to never text and drive while encouraging others in their community to do the same. The It Can Wait movement is making a difference. One in three people who’ve seen the texting while driving message say they’ve changed their driving habits. Together, advocates have raised the awareness of texting while driving to 97 percent or higher in every audience the campaign has polled. To take the pledge and get more information, click here. CARSTAR Auto Body Repair Experts-- a part of the Driven Brands, Inc. family of automotive aftermarket franchise brands -- is North America’s largest Multi-Shop Operator Network of independently owned collision repair facilities with nearly 500 locations in 30 states and 10 Canadian provinces. CARSTAR delivers national scale, consistently high-quality vehicle repairs, repeatable outcomes and the industry’s highest customer satisfaction ratings; all repairs are backed by a national warranty and service guarantee. It was ranked 106th on Franchise Times® annual Top 200™ ranking of the largest franchise systems in North America. The Romans Group LLC ranked CARSTAR the No. 1 largest MSO in North America. For more information visit www.carstar.com and follow us on Facebook and twitter.